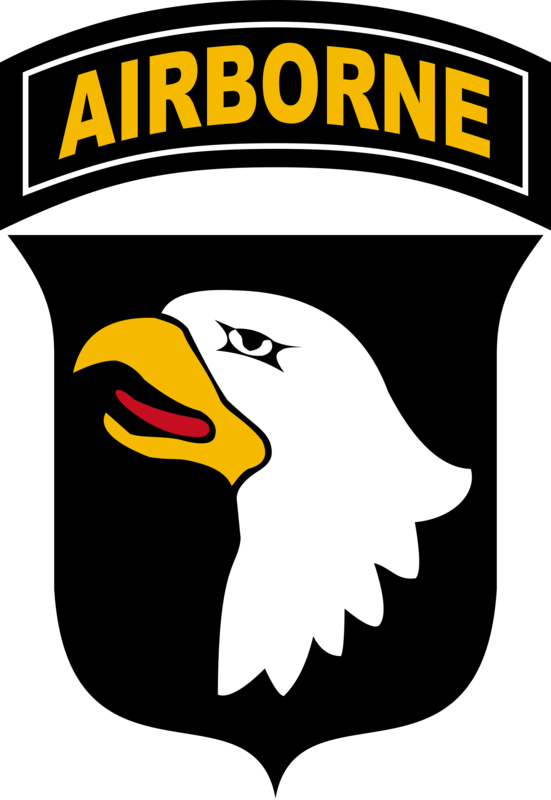 Formed in August of 1942, the 101st Airborne Division fought the Germans all over Western and Central Europe. The division's first combat was in support of the D-Day invasion. The night before the invasion, men from the 101st Airborne jumped and rode on gliders into Normandy. Despite being widely dispersed because of bad drops, and taking severe casualties, the men of the 101st Division fought with valor. They seized the bridge and area around Carentan, fought for their objectives, and severely disrupted German forces. After the battle for Normandy, the division fought in Operation Market Garden. Despite initially capturing many of their objectives during this operation, the men of the 101st were gradually pushed back by fierce German counter attacks. After retreating, the division held "Hell's Highway" and the town of Veghel while facing severe German attacks. After Market Garden, the division was sent into Bastogne, where they held their lines despite continuous German attacks and encirclement during the Battle of the Bulge. During the final days of World War II, the division captured the Eagle's Nest, Hitler's mountain retreat in Berchtesgaden. After being deactivated following World War II, the division was reactivated to fight in the Korean War. During the Vietnam War, the division fought in battles such as Hamburger Hill and Firebase Ripcord. The elite soldiers, especially a specialized unit called "Tiger Force," were greatly feared by the North Vietnamese, who warned their soldiers not to engage with the 101st. The division fought during Desert Storm and provided peacekeeping forces in Somalia and Kosovo. The division has also fought in the War on Terror, fighting against Islamic terrorists during multiple tours in Iraq and Afghanistan.